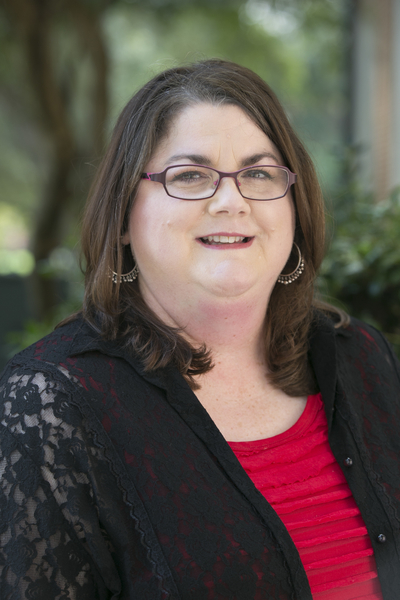 Oxford, Ala., native Sonya Stanley received her Bachelors of Science in Mathematics from Judson College, a Masters of Science in Mathematics from Auburn University and her Ph.D. in Mathematics from Vanderbilt University. Her research interests include approximation theory, splines, computer-aided geometric design, and numerical analysis. What she enjoys most here is working with her students, especially the undergraduate research projects she has been involved in. Stanley is active with the campus chapter of Phi Kappa Phi. Outside of the classroom, she enjoys enjoy sports, music and spending time with her family. A Trigonometric Simpson’s Rule, co-authored with Catherine Cusimano Kirby, Alabama Journal of Mathematics, Spring 2004, 15-22. Circular Bernstein-Bezier Spline Approximation with Knot Removal, co-authored with Catherine Cusimano, Journal of Computational and Applied Mathematics, 155 / 1, (2003), 177-185. Revitilizing Precalculus Through Problem-Based Learning, Journal of General Education, 51 / 4, (2002), 306-315. Problem-Based Precalculus: A Case Study, Research and Development in Problem Based Learning, 5 (1999), 208-213. Quasi-interpolants Based on Trigonometric Splines, co-authored with Tom Lyche and Larry L. Schumaker, Journal of Approximation Theory 95 (1998), 280-309. Shape-Preserving Knot Removal, co-authored with Larry L. Schumaker, Computer Aided Geometric Design 13 (1996) 851-872.